Downy is sponsoring "Quilts for Kids" www.quiltsforkids.org Check it out. These go to the Children's Miracle Network Hospitals. 25 are being sent to Hatti to an orphanage. Email them and they send you a pre-cut kit. 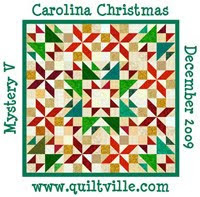 You put it together and quilt it using their directions. Every thing must be machine quilted, including the binding. This is to help it hold up in the multi washing they will get, and to keep loose threads from catching on IV tubes and such. They will ask you to make a 2nd one out of your fabric. This is a great cause. The yellow quilt is the kit I was sent, it has frogs all over it. 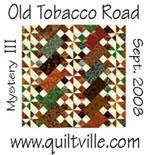 The cowboy quilt is one from my stash, really stuff left over from another quilt I did for a little boy. Got great millage from that fabric. 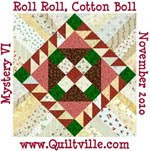 I was able to get both quilts in a USPS box, 4 X 12 X 14.
my quilt kit arrived in the mail today. thanks for promoting this great quilt charity. your Q4K quilts turned out so cute! I requested a kit and put it together really quickly last month but am just now getting it machine quilted - my first ever attempt at machine quilting!!! eek~!